Beaten, roasted, spiced, and ready to win you over when you get the munchies! 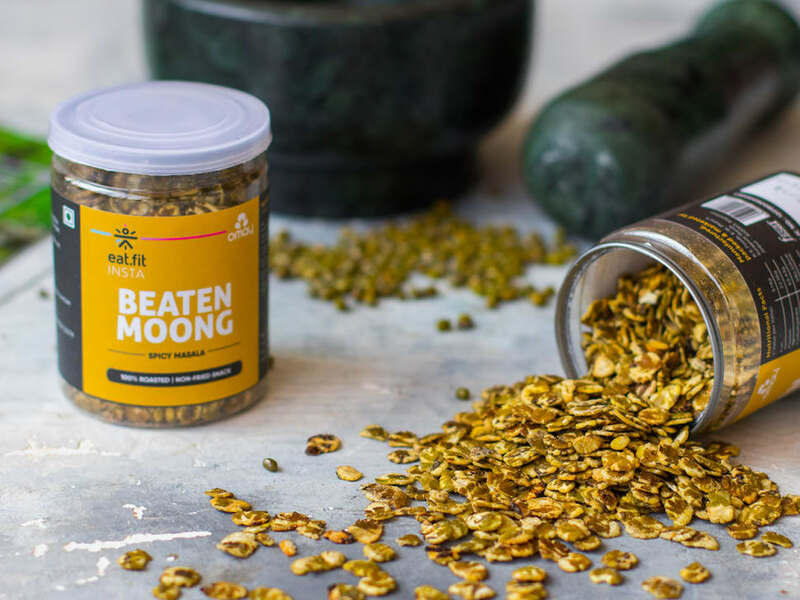 Give your tastebuds a treat with this mix of moong sprouts that make for a perfectly healthy snack. - Protein-rich moong - Roasted, not fried - No additives or preservatives - Antioxidant-rich spices Net Wt: 60g; Nutrition values displayed as per serving size.